News just in from the Alpha Quadrants greatest games company Modiphius Entertainment about the awesome Star Trek Adventures. Today we’re pleased to announce the release of two new PDFs for Star Trek Adventures! Bring your favourite heroes from The Next Generation and the Original Series into your Star Trek campaigns! 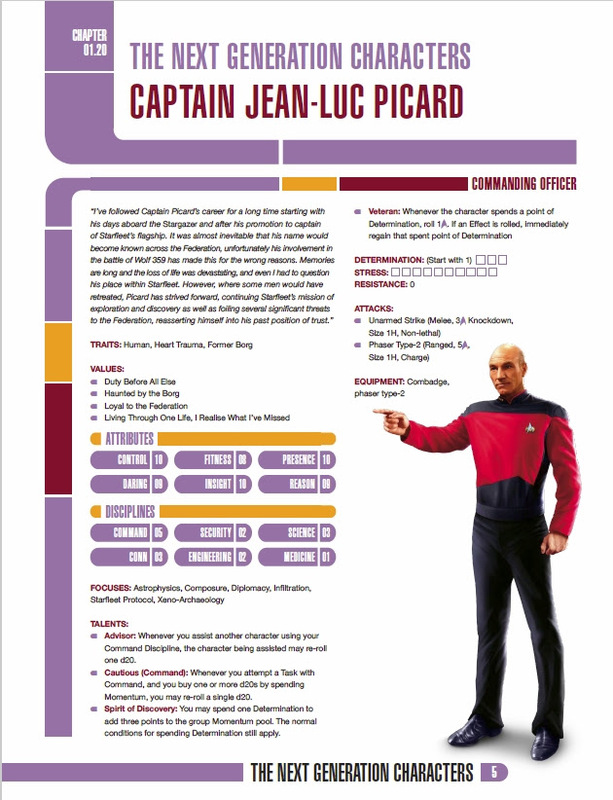 The Star Trek Adventures player character PDFs are available on Modiphius.net and DriveThruRPG.com and here are the details! This PDF contains statistics for the crew of the U.S.S Enterprise NCC-1701, including Captain Kirk, Commander Spock, Dr. McCoy, Lt. Commander Scott, Lieutenant Sulu, Lieutenant Uhura, Ensign Chekhov, and Nurse Chapel, as well as the game statistics for the Starship Enterprise herself. These characters require the Star Trek Adventures core rulebook, and are a perfect accompaniment to the Star Trek Original Series Bridge Crew resin miniatures set. This PDF contains statistics for the crew of the U.S.S. Enterprise NCC-1701-D, including Captain Picard, Commander Riker, Commander Troi, Lt. Commander Data, Lt. Commander Geordi La Forge, Lieutenant Worf, and Lieutenant Yar, as well as the game statistics for the Starship Enterprise herself. These characters require the Star Trek Adventures core rulebook and go perfectly with the Star Trek TNG Bridge Crew resin miniatures set. As a bonus for purchasers of our Borg Cube collectors boxed set, PDF Collection, and Gamemaster Screens we’ve added these as a free additional download, please check your inbox for an update. 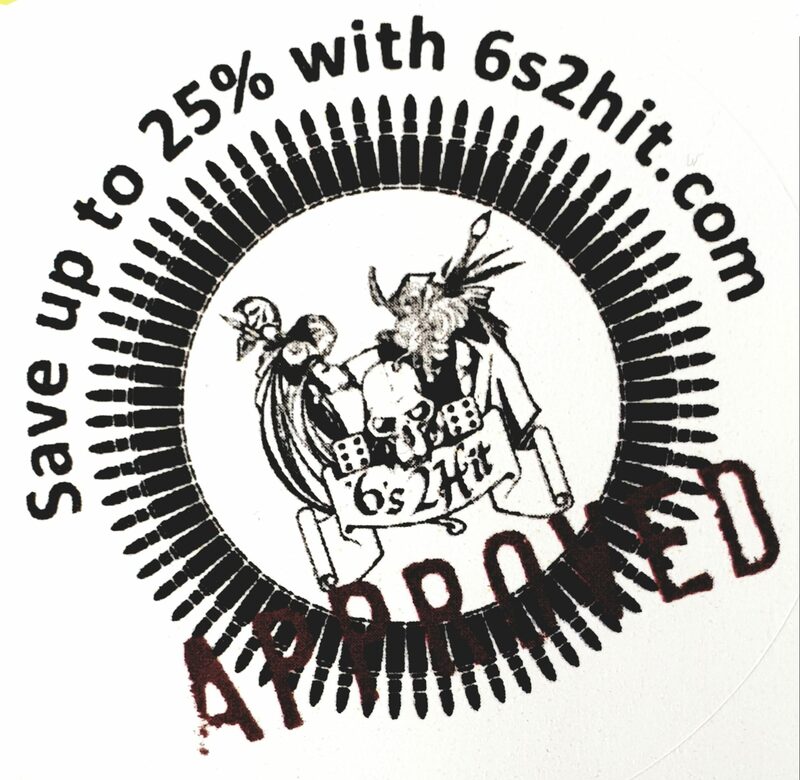 We’re busy preparing for our 2018 releases! 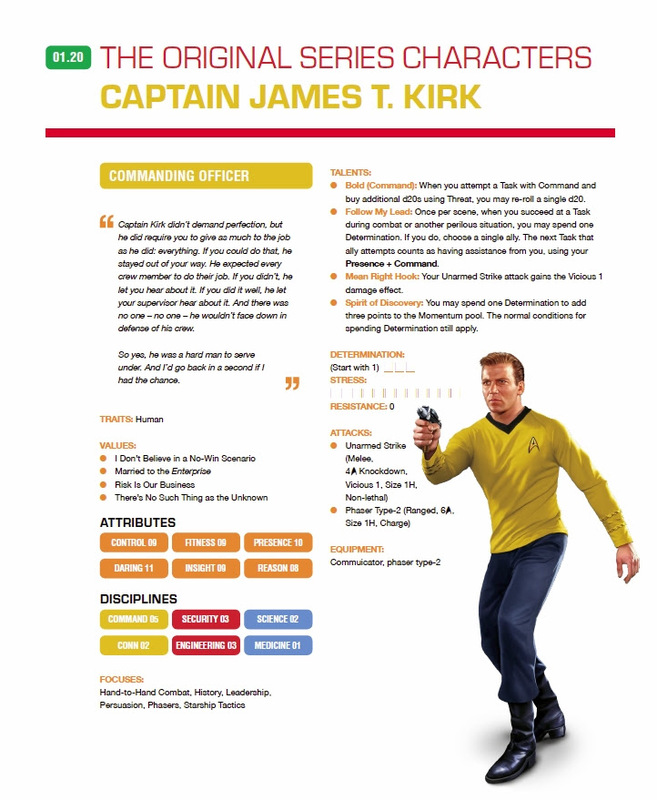 The Command Division supplemental rulebook offers new character options and Talents, starships to command and pilot, and new NPCs and Supporting Characters. The Beta Quadrant sourcebook contains a ton of information on the home quadrant of the Klingon Empire and Romulan Star Empire, as well as the Federation and its homeworlds in that area of space. It also contains new playable species options, including Klingons, and other fan favorites. Both of these books, as well as new miniatures and tile sets, will be available to pre-order in a couple of months! And many more releases will follow… just keep hailing frequencies open!